Bath golfer Laurie Canter described sealing his first ever European Tour card as a "mad" experience. Canter, 26, who is a member of Cumberwell Park in Bradford on Avon, secured his card in Spain on Thursday. 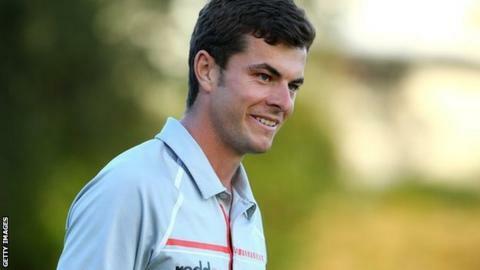 "I've had a couple of rocky years in pro golf," Canter told BBC Wiltshire. "I've had some decent form, it's way more than I could have expected. "I was looking at the Challenge Tour, that would have been good. To end up getting a main Tour card is mad." Canter will now take his place on the Tour with some of the biggest names in world golf, but he says he will not be intimidated. "When I turned professional it's what I wanted to do, I knew if I worked hard enough my time would come," he said. "(Players such as) Rory McIlroy can't put me off. There is nothing they can do to influence my game. He added: "I will go and watch Bath play rugby against Leinster to celebrate. Then I fly to South Africa for my first event so I won't have long at home."